Men holding cocoa pods, Côte d’Ivoire. 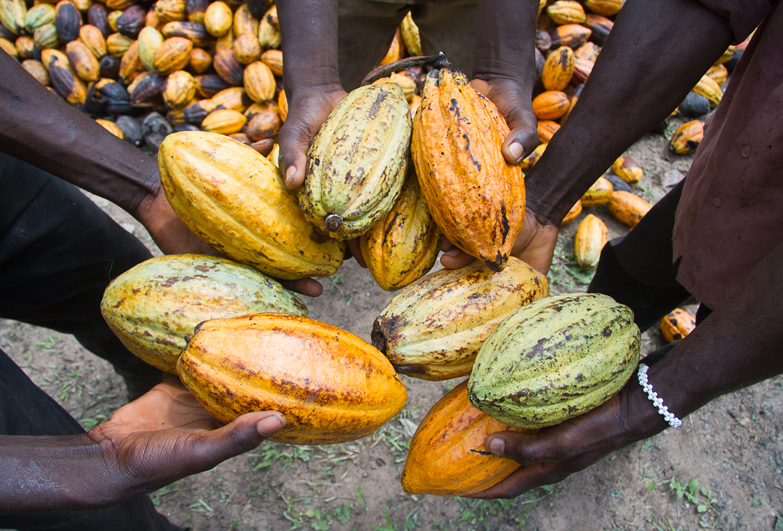 Cocoa industry in West Africa has been affected by slavery and child labour. Anti-Slavery International first identified slavery in supply chains as a key issue in the fight against slavery over two decades ago. Today, the responsibility of business to respect human rights is widely recognised. We believe that businesses have a significant role to play in ending slavery. We do not boycott brands but advocate that supply chain transparency and human rights due diligence are necessary in order to eliminate the risk of exploitative practices. We also provide guidance and training for numerous UK and international businesses on supply chain due diligence and addressing modern slavery risks across a range of sectors. To receive guidance, training or advice for your company on the issue of slavery in business operations please contact Ryna Sherazi on supporter@antislavery.org. Anti-Slavery International were instrumental in securing the inclusion of a Transparency in Supply Chains (TISC) clause in the Modern Slavery Act 2015, which requires businesses with annual turnover of £36 million or more to report on the steps they are taking to eradicate modern slavery. To provide further guidance on how companies can use the TISC provision and link the reporting with the due diligence needed to eradicate modern slavery, we worked with the CORE coalition to produce a civil society guide to reporting on modern slavery. Recently we supported our patron Baroness Young of Hornsey in introducing a private members bill in the UK Parliament to strengthen the TISC provision and ensure that public sector is also required to report on modern slavery due diligence. We are members of the Ethical Trading Initiative (ETI, an alliance of companies, trade unions and voluntary organisations working to improve the lives of workers across the globe) and, in partnership, work to provide training and expert advice for member companies on the risks of modern slavery. We work with the Business & Human Rights Resource Centre to support and guide the registry maintaining a public record of companies’ statements under the Modern Slavery Act TISC provisions. Hospitality is one of the industries with significant risk of modern slavery because of the high use of temporary and contract labour. Together with the Institute for Human Rights and Business we implemented the Staff Wanted Initiative to ensure that hotels are aware of, and address, risks of exploitation in the their industry. For nearly twenty years we have campaigned bring responsible business practice on the global agenda. We implement projects and work with businesses and others to eliminate slavery from global supply chains. 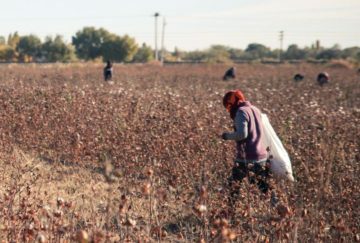 We have worked to end state sponsored forced labour in cotton production in Uzbekistan for nearly a decade under the banner of our Cotton Crimes campaign. Recently we extended our work to Turkmenistan, which uses similar practices. Together with our partners from the Cotton Campaign coalition we have gone a long way in mobilising businesses to stop knowingly using Uzbek cotton in their products. 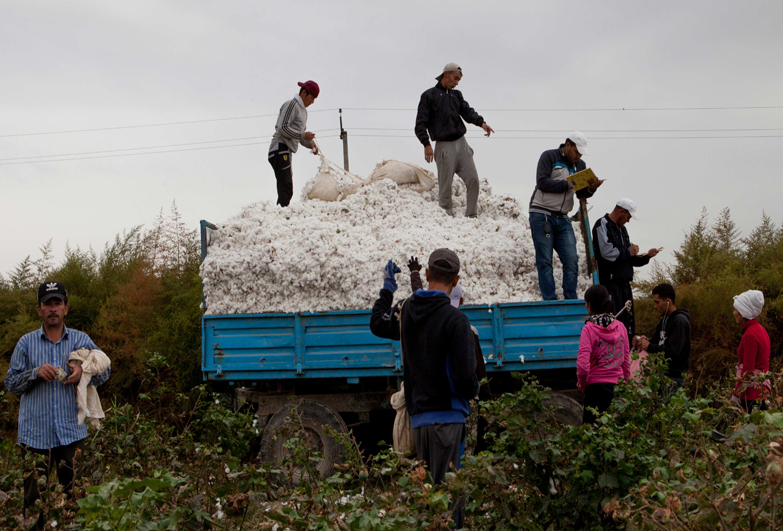 Over 250 global brands have already signed the Cotton Pledge to not use Uzbek cotton. We successfully convinced H&M and Nike to take more proactive steps to that end and continue to encourage others to do the same. H&M have now extended the ban to also include Turkmen cotton. 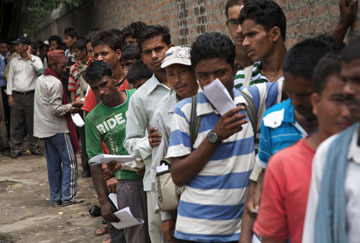 In 2010, we uncovered that slavery practices in the garment industry in India affected the supply chains of major UK high street retailers which led to the development of programmes to tackle the issue. 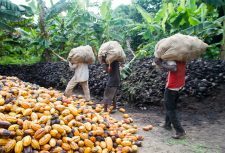 We have been closely involved in campaigning to tackle child slavery in West Africa’s cocoa industry since the abuses were uncovered in the early 2000s. 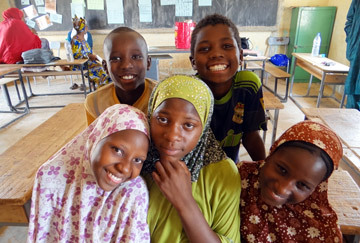 For a decade, we have worked with Mondelez International, one of the largest global confectionery companies, an owner of Cadbury’s, to tackle child labour and child slavery in their supply chains. Our work led to their adoption of a new child labour policy and is being translated into action by their “Cocoa Life” programme. We also worked to uncover the abuses of migrant workers in Thailand’s fishing industry affecting seafood exported all over the world. We incubated Project Issara, an initiative involving businesses and public sector partners to tackle human trafficking in Thailand, and campaigned for big retailers to join it to meaningfully tackle forced labour in their supply chains. More recently we were involved in General Discussion on Decent Work in Supply Chains at the International Labour Organization, in a process that we hope will result in setting a new legal standard for decent work in the future. Anti-Slavery International very rarely, if ever, joins calls to boycott specific companies, goods or countries. Boycotts can actually make the situation worse and undermine the economy of an already poor country. They could hurt those employers making their employees work in slavery-like conditions but they could also hurt those who are not exploiting their workers, and worsen the poverty that is one of the root causes of the problem. However, we do call for a boycott of companies purchasing cotton from Uzbekistan and Turkmenistan. In these particular cases the boycott of a state-sponsored system of forced labour is not likely to make the situation worse for those affected by it.